You are an entertainer. You never hesitate to pop a few corks for your guests. This selection will sate the desire for mead in all capacities. Whether you are pairing them with foods or mixing them in cocktails, this will compliment your special occasion. You will also get our exclusive one-of-a-kind meads only available in our tasting room. All with FREE SHIPPING! — Earn MeadUp! Rewards by referring friends to CLUB MEAD! — CLUB MEAD members now receive FREE SHIPPING on orders of 6-12 bottles! Have a friend sign up for Club Mead and you BOTH will receive a $5 credit to each of your Club Mead accounts AFTER they receive their first shipment. Maximum MeadUp! Rewards are $25 per quarter. All they have to do is sign up online and enter YOUR FULL NAME into the Promo Code box. To qualify, the new Club Mead Member MUST sign up using the form below. The credits can accrue without expiration and may be used for Club Mead quarterly shipments and any online purchase of mead only. To be qualified as a new member and to receive credits, successful payment must be made for their first order. Referrer must be an active Club Mead Member. Subject to terms and conditions which may change at any time. No Cash Value. MeadUp credits can only be used to purchase products online at our Vinoshipper store. ​we have a dedicated email address just for you! You will also notice that the club emails will be sent from this email. All you would have to do is hit “reply”! Please email us. Calling could possibly delay your question from being answered. Please make sure that you either add this email to your contacts or you check your junk file periodically. The "release" is the quarterly package of 4 bottles that we ship to you. 3-5 days prior to charging your card, you will receive an email letting you know that your order will be coming soon. Within this email there will be a link you can follow to update your profile and shipping information. It is EXTREMELY important and UP TO YOU to make sure your information is correct and up to date. If we process your order and the information is not correct, you may be liable for any charges that might be associated with making the necessary changes. Having us change the information can delay shipment and slow our logistics down considerably. Due to the increase of membership we are asking for your patience in coming to pick up your order or calling to ask where it is. We are working tirelessly to streamline our process and feel we have made great strides. It should only get smoother! When your credit card is charged, we are only beginning to pack up and organize the orders. A typical Club Mead release takes upwards of 2 WEEKS to fulfill because there are so many orders! For this we are extremely grateful, but ask for your patience while we work on the logistics. If you are a “PickUp Member” you will need to pick up within 14 days of release. Even though you are saving us on shipping, with the increase of Club Mead members we are seeing higher volumes of pick up orders “sticking around”; making it very tempting for us to drink them. To help us expedite and maintain efficiency, we ask that you pick up within 14 days of notice of availability. We do not accept substitution requests for mead club selections at the meadery. Because you will not receive a shipping notification, PickUp members will now receive a separate email letting them know their order is available for pick up. Please WAIT for this email! We deliver meads to your door! We love it! But sometimes you are unavailable and UPS returns your package to us; usually after 3 attempts. Going forward, we are instituting a “kickback charge”. A charge of $20 will be debited from your credit card on file for the kick back and you will be liable for the shipping cost to get it resent. UPS charges us to kick the package back to us. If you foresee an issue with delivery, please email us at club@saphousemeadery.com — BEFORE we charge your card! *** If you would like to have it held at your local UPS center, please contact UPS when you receive your shipping notification. To streamline this, update your profile to have it shipped to the nearest UPS terminal. Club Mead is ongoing. You can cancel anytime, but must be done by emailing club@saphousemeadery.com BEFORE the next quarter’s release. Free Shipping is on your quarterly shipment and orders of 6+ bottles. New states are opening for direct shipping, so check with us to see if we now ship to your state. All meads are sold in New Hampshire and the ownership transfers to the buyer in New Hampshire. We make no representation to the legal rights to anyone to ship or import meads into any state outside of New Hampshire. The buyer is solely responsible for the shipment of meads. If you want the shipment to go to one of the states above, by placing an order, you authorize us to act on your behalf to engage a common carrier to deliver your order where you want it delivered. In the first month of each quarter we will ship your CLUB MEAD selections directly to your home or office. No bills, no fuss. We simply charge the credit card provided on your account. 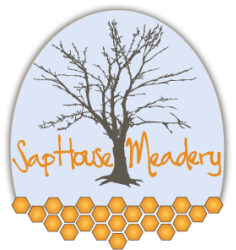 Please note that it is your obligation to notify Sap House Meadery of any account changes before the beginning of a shipment month. Misdirected shipments and delivery difficulties will result in additional shipping charges. To update your account information, please email us at club@saphousemeadery.com. Membership is ongoing and may be cancelled with a 15 day written notice after receiving your second CLUB MEAD shipment. Please note that if a shipment is scheduled within 15 days of cancellation, you will be charged and your final mead selections shipped as scheduled.